Dr. Peter Pisters is the President & CEO of University Health Network (UHN) in Toronto, Ontario: Canada’s premier academic medical centre. Dr. Pisters is an internationally known health system leader and academic surgeon, and is currently a Professor of Surgery at the University of Toronto. Prior to joining UHN, he spent 20 years at The University of Texas MD Anderson Cancer Center as a tenured faculty member in a number of clinical, administrative, and leadership positions. Dr. Pisters served as a Vice-President with leadership over MD Anderson’s regional expansion strategy and multi-site metropolitan Houston operations. A graduate of Western University’s Schulich School of Medicine and Dentistry, Dr. Pisters completed his internship and residency at New York University’s Langone Medical Center and Bellevue Hospital. He spent four years as a research and clinical fellow at the Memorial Sloan-Kettering Cancer Center in New York City. Dr. Pisters holds a Master’s degree in Health Care Management from Harvard University and is a 2015 Executive Fellow in the Baldrige Performance Excellence Program of the U.S. Department of Commerce. Blockchain technology is a methodology for conducting transactions that relies on a decentralized approach to authorization and edits. Blockchain’s origins began with Bitcoin but is becoming more and more relevant to industries such as finance, manufacturing, and health care as a solution to managing access and editing of big data sets. 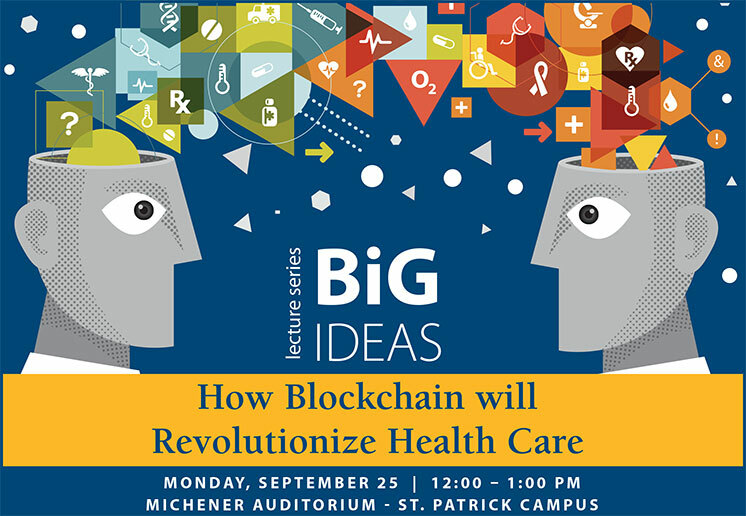 Technologies such as blockchain may enable UHN to live it’s primary value, the needs of patients come first, by creating a patient-centred approach to managing electronic health care records. For more information, please contact researchinstitute@michener.ca.